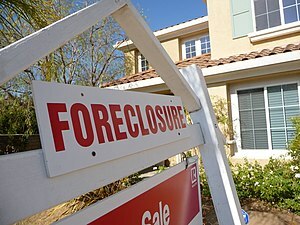 Much, maybe most, perhaps virtually all, of US foreclosures over the past ten years have been based on a simple and pervasive fraud: the bank or lender that forecloses on homes frequently does not own the note or mortgage and therefore has no standing or right to foreclose. In essence, people who are too poor to make their mortgage payments have suffered the additional indignity and injury of being robbed of their homes by lenders and attorneys who knew or should’ve known they had no right to foreclose. We are talking about several hundred thousand (and possibly more than a million) homes that may have been foreclosed by means of systemic, institutionalized fraud over the past 20 years. This foreclosure fraud is certainly one of the biggest criminal enterprises this country has ever seen. And it couldn’t have taken place without the cooperation of our legislatures, courts and attorneys. Everyone’s heard the term “power of attorney”. Some have heard the term “letter of attorney”. But until last week, I’d never heard of the term “warrant of attorney”. “Warrant of attorney” appears in only 26 Supreme Court cases ranging from A.D. 1824 to A.D. 1952. Oddly, the term hasn’t been used by the Supreme Court of the United States for over a half century. That omission, plus the timing, leads me to suspect that a “warrant of attorney” may only apply within the common law and/or within The States of the Union. Posted by Adask on February 1, 2009 in "The State" vs. "this state", Attorney, U.S. vs The U.S.A.